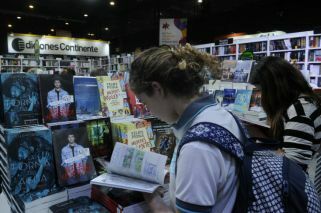 Argentine teams set to progress in continental competition "via a desk". When it comes to South America’s top club competitions, wary coaches must not only make sure their opponent’s tricky enganche does not slip away from distracted markers and wreak havoc. Paying attention to matters on the pitch can be just as important in crunch Copa Libertadores and Sudamericana ties – and the penalties are heavy for those who fail to carry out due diligence. In the space of a month no less than two Argentine teams have had cause for complaint following continental matches. The embarrassment of a disastrous defeat for San Lorenzo at home to Chilean minnows Deportes Temuco was in part diminished when it emerged that Temuco’s Jonathan Requena had already appeared in the Sudamericana wearing the shirt of Defensa y Justicia, therefore barring him from further participation. An official protest from the Bajo Flores club was upheld by CONMEBOL, who awarded a 3-0 win to the hosts after Temuco had triumphed 2-1 on the night. The Chileans still ran their more illustrious rivals close in a thrilling second leg, winning 1-0 in a game that saw San Lorenzo keeper Nicolás Navarro pull off several top-class saves to keep the deficit to a minimum. In a final twist of irony the aggregate score read 3-1 in San Lorenzo’s favour – the exact mirror image of the two results that occurred on the pitch. Now it is Independiente who may benefit from their opponent’s slack reading of the rules. 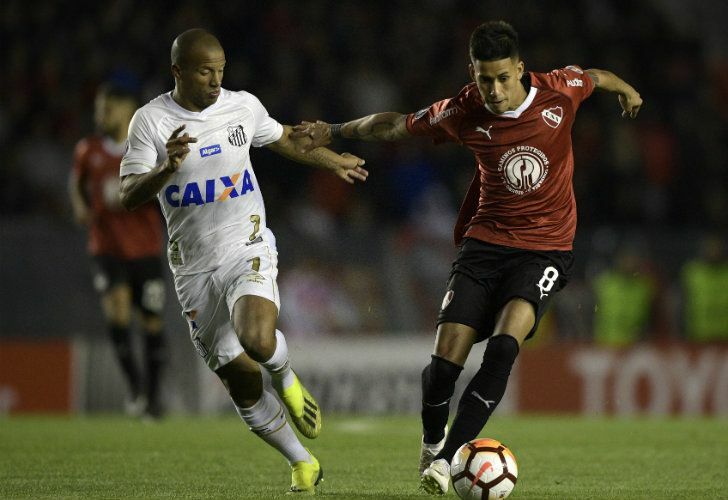 On Tuesday the Rojo were held 0-0 by Brazil’s Santos in a timid performance that belied the combined 10 Libertadores titles boasted between the two giants. The damage that the home team could not do in Avellaneda, however, might just be compensated by another wink from the Libertadores’ organisers. Uruguay midfielder Carlos Sánchez last appeared in CONMEBOL competition back in 2015. The then-River Plate man was sanctioned in the Copa Sudamericana for aggression toward a ballboy during River’s semi-final defeat to Huracán, and given a three-match suspension that meant little at the time as he prepared for a move to Mexico’s Monterrey. But even after a 2016 CONMEBOL centenary ‘amnesty’ that cut the punishment in half, Sánchez would still have one match outstanding on his ban and therefore was unavailable to take on Independiente. If those in charge agree with this interpretation Ariel Holan’s men, instead of taking a fragile goalless draw to Santos, will no doubt travel rather easier with a 3-0 victory to defend. Granted, Sánchez’s case is rather less open and shut than in the egregious example set by Requena. Santos argue that CONMEBOL’s own Comet platform shows Sánchez’s suspension was expunged on May 23 of this year and that there is therefore no record they could possibly consult regarding his disciplinary status. Independiente, in turn, hold that Comet has no legal status, and is merely an informal manner of checking players’ availability. That was not all, however: just when it appeared that the situation could not become any more bizarre, it was revealed that Bruno Zuculini of River had played the entire 2018 Libertadores, including the last-16 first leg against Racing Club, while officially suspended – a punishment he has carried since 2013, ironically while still a Racing player. The Millo at least will escape punishment, thanks to a letter sent to CONMEBOL at the start of the year regarding each player’s disciplinary status, which was answered by the confederation stating that none of their charges were under sanction. The news has not gone down too well at Racing, who threaten further appeals, but it would seem justice will be served, while Zuculini will finally serve that suspension in Wednesday’s second leg. In the background of the entire dispute, another discussion arises: should a team even ask for victory ‘via a desk’ at all? It is clearly not the way players or fans imagine themselves winning cup ties. A 3-0 victory with an asterisk affixed is a cheap way to win compared to the adrenaline rush of the game itself, and it is easy to see why the blanket punishment for all those who infringe player availability laws can raise controversy. But it is quite simply the only possible manner of discouraging competitors from breaking the rules. In a region where players move from club to club at a breathtaking pace it is hard enough for those teams themselves to keep track of outstanding suspensions and other issues. That does not mean, though, that they can be relieved of the responsibility. There is no glory in winning at a desk, but those who hold up the rules and insist their opponents do the same can simply not be criticised for their diligence – or, of course, the lack of it elsewhere.